Labour consistently end up winning fewer votes in the general election than the polls would have suggested six months in advance. 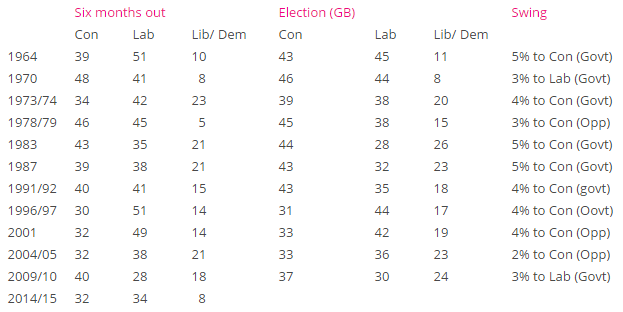 Governments gain more often than oppositions: if my Conservative-supporting readers want some comfort, there are no cases of a Labour opposition gaining ground over the final six months. But do go and read the full thing, not least for the deliciously depressing Gramsci pay-off.